Bandana Tulachan is a freelance illustrator based in Kathmandu, Nepal. Her professional practice is focused primarily on illustration for children’s picture books and on the use of elements of fantasy in illustrations to tell stories and to develop narratives around her own experiences and feelings. Bandana has illustrated over nice picture books for children since 2012. In 2015, she wrote and illustrated Sanu and the Big Storm (Sanu ra Adhiberi). 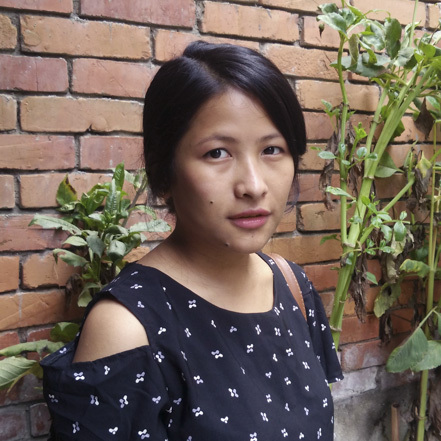 She completed her BFA- (Bachelors in Fine Arts) from Kathmandu University, Center for Art and Design.